As the year comes to a close and we prepare for our 15th anniversary in March 2018, we are celebrating our accomplishments and rolling up our sleeves for the work ahead of us. We are excited to celebrate this milestone and invite you to do so with us! We are also excited to share with you the vital new project we launched in Azerbaijan this year to hold international financial institutions accountable for their investments in the country’s oil and gas sector. For the past five years, human rights defenders have suffered increasing oppression, making public oversight of major development projects almost impossible. The good news is that pressure is rising on IFIs to comply with their own and international standards to support good governance, environmental sustainability, and transparency. Communities have told us they rely on Crude to provide information about compliance standards and about how to protect their environmental and human rights. We know that culture and art can play a significant role in changing hearts and minds. 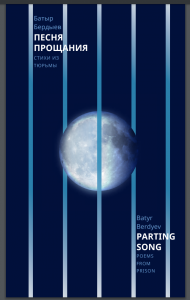 We wish you could have been there when we read poetry at an OSCE meeting in Warsaw from our newly published anthology, Parting Song: Poems from Prison, written by one of Turkmenistan’s disappeared: the former Minister of Foreign Affairs of Turkmenistan, Batyr Berdyev. He has not been seen or heard from in 15 years. His poems, written to his wife and son, are a heartfelt testament to the human spirit. The readings brought tears to the eyes of participants, something we’ve never seen before despite being involved in formal international venues for decades. The poetry volume was published by the Prove They Are Alive campaign, of which Crude is a leading member, and is available both electronically and in hard copy. We’d like to invite each of you to upcoming readings in Washington DC and other venues. We will announce those dates later in the new year. The status of the disappeared remains urgent. We learned this week of another death in prison, and this fall the Prove! campaign published new findings on the enforced disappearances in Turkmenistan. The number of documented cases has grown to 112 disappeared, including 23 confirmed deaths among the victims of the government’s cruel and inhuman treatment. From Azerbaijan to Standing Rock, space for civil society is shrinking everywhere. Our report “Dangerous Work: Increasing Pressure on Environmental NGOs and Activists in the Countries of the Former Soviet Union and the U.S.” identified the alarming trend of violence and intimidation targeting environmentalists for their work to protect everyone’s right to a healthy environment. Your donations are critical to enabling Crude Accountability to stand up for justice and be a resource for our international and domestic partners. We ask you to support our campaigns by donating at http://crudeaccountability.org/support-crude/ or by writing a check to Crude Accountability, P.O. Box 2345, Alexandria, VA 22301. For a donation of $75, we will send you your own copy of Parting Song. We’d like to ask one more easy task of you. Please send this letter to at least one other person and share with them why you support Crude Accountability. Thank you!